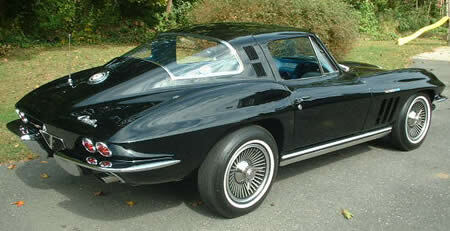 The C2 1965 Corvette feature new side fender vents, changed from the 64 two horizontal to three vertical slots. The hood depressions on the 63 and 64 were now gone. Four-wheel disc brakes were now standard. The "Big Block" 396 ci with 425 hp was introduced and required a special domed "bubble" hood. 1965 would be the last year fuel injection was offered on the Corvette until 1982. 1965 Convertible - Asking price: $47990 - Great value, show and drive!